Novelist-philosopher Ayn Rand gets a lot of flack. 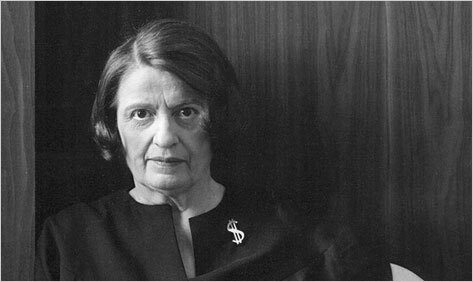 Her novels Atlas Shrugged and The Fountainhead are two of the most widely read novels and yet few people identify themselves as “Objectivists”: adherents of Ayn Rand’s philosophy which she called “Objectivism”. I first read Atlas Shrugged in 2015 and 2016 (it took me about 6 months to read!) before reading The Fountainhead. Before I started reading The Fountainhead, I went to OCON (Objectivist Conference) in the summer of 2016. OCON is the largest gathering of Objectivists and brings people from all over the world together to discuss and dissect her ideas. Over the past couple of years, I’ve attended several of these conferences put on by the Ayn Rand Institute (ARI). I attended another OCON in 2017 and I attended the Ayn Rand Student Conferences in the fall of 2016 and 2017. There weren’t that many students who identified as “Objectivist”, but at OCON there were plenty of people. Another thing I noticed, was that students were more likely to question her ideas and be open to the ideas of other philosophers. Whereas at OCON, philosophers like Ludwig Wittgenstein and David Hume are villainized by the crowd. At OCON there was a cult-like aura in the air, at least compared to the student conferences. But why don’t I think Ayn Rand started a cult? Because the philosophy is about thinking for yourself, or at least that’s what Objectivists claim (even if they subconsciously accept Rand’s philosophy as dogma). Objectivism can’t be a cult, for this reason, cults encourage belief in something. Objectivists want you to think for yourself. However, the movement can at times be cult-like. One of the biggest ways in which it’s cult-like is in its overt criticism of most other philosophers. Now, I think philosophers deserve their fair share of criticism- but so does Ayn Rand! When a student asked, “What do you disagree with Ayn Rand on?” at Ayn Rand Student Conference last year, Gregory Salmieri (an Ayn Rand Institute Scholar, whom I respect) practically dismissed the question and said something along the lines of “I don’t have a list that I keep with me.” Well sure, I don’t keep physical lists of disagreements with me either- but shouldn’t it be easy enough to recall some disagreements? Yet, he didn’t state any. Harry Binswanger did state a couple of obscure epistemological disagreements he had with her, but that was about it. And I’ve noticed that the subject of “What Ayn Rand might have gotten wrong” doesn’t come up in Objectivist circles. So is Objectivism a cult? No, but it is cult-like.